Today I have a little energy. That hasn't been the norm lately. For months now I've been feeling like a clock that has been gradually winding down, going slower and slower as the days go by. I have been exceptional at holding down my sofa though. Let me tell you it is going nowhere! My 5 year cancerversary was last month, and of the past 5 years that I have been diagnosed with cancer only one of those years has been without chemo. Let me tell you four years of chemo can really wear on a person. Lately I have been so tired, unmotivated, completely fatigued, and utterly lethargic not even wanting to expend the energy to cook or clean. Often I lay in a puddle on the sofa until I have to get up and drag myself into my appointments for IV's or chemotherapy or various other doctors appointments. It is so completely different than what I am used to being able to do. I remember I used to be so independent, often going hiking and camping alone, dreaming and anticipating and scheming about my next adventure. Even when I had two herniated discs in my back I still muscled through the pain and did as much as I could. Most of the time now I don't even have the energy, drive, or motivation to leave my house unless I have to. This has been messing with my mind too. It is an emotional drag to feel so crappy every day. I've been really good lately at making myself feel guilty for all of the things that I haven't done, or that I need to do, or that I want to do. Lots of guilt and a little bit of depression as a result. 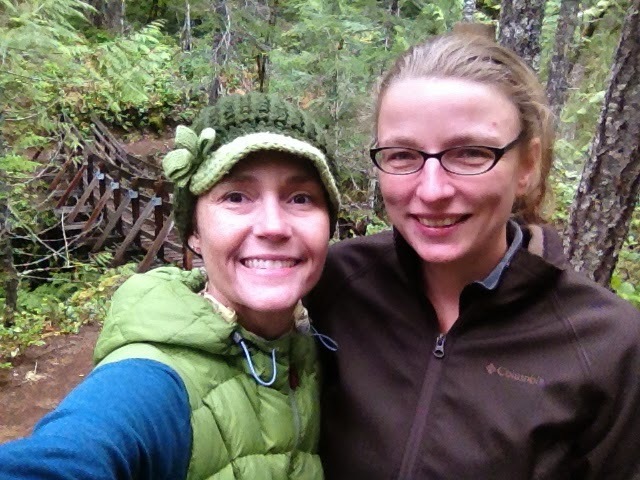 The good news is that I got a little energy to get out last week and go for a small hike with a good friend. 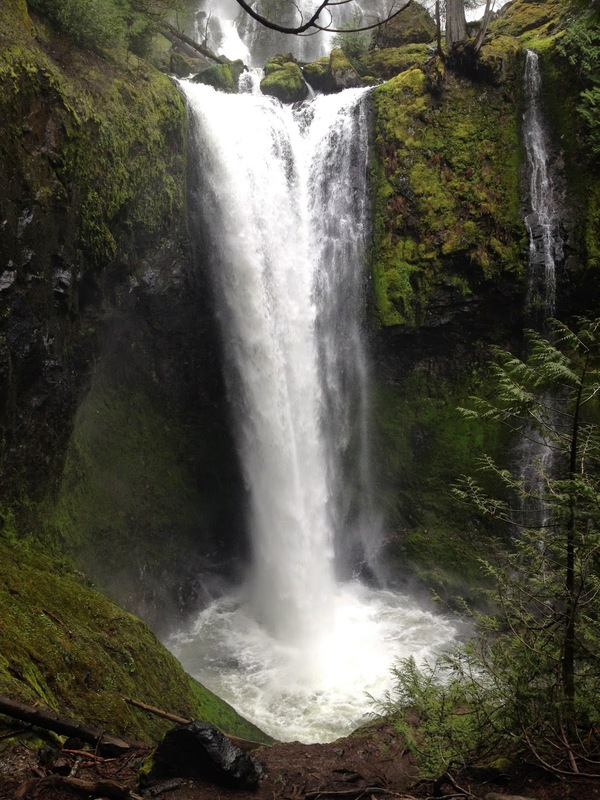 We went to Falls Creek Falls on the Washington side of the Columbia River Gorge. It was exactly what I needed! It felt so good to get out and get some exercise and fresh air. We saw a hummingbird dive bombing a woodpecker and heard a lot of other pretty bird songs. The falls and suspensions bridges were amazing and we even had a little time to ourselves at the main falls before others showed up. It was calming and serene. I had to stop quite a bit on the trail on the way up to the falls but on the way back I was bouncing! The only bad part of the day is that I got sick in the car on the way home...luckily my friend had a plastic bag in her car. This prompted an unexpected detour to a Burger King garbage can then everything was fine and we were on our way home. It was a small price to pay for such a beautiful day. 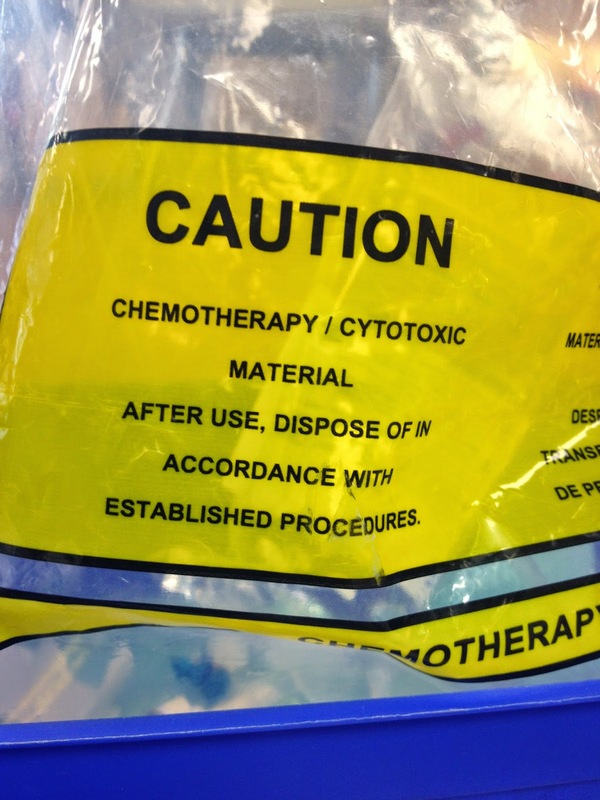 The bad news is that I have had so much chemotherapy in the last five years that my body is not going to be able to handle it for much longer before it starts having major difficulties and I don't want that to happen. My awesome nurses at my oncology center referred me to a doctor who finds clinical trials for your specific cancer. I have a call in to her and am anxiously awaiting her response. The difficulty is that it costs $300 which I don't have but that is a small price to pay for having someone do the legwork of finding a trial for you as well as getting you into it. She looks all over the entire country to find one that will fit for your needs, so who knows, I might have to travel. I am hoping to find one here in the PNW but at this point I will go where ever I need to go. My options are running thin at this point. My next scan is coming up near the end of the month (it actually hasn't been scheduled yet but will be soon) and once I get the results from that I will decide how much longer to get chemotherapy. My hope is that the tumor that sprang up anew in January will have either gone away completely or shrank. If it has grown at all I am going to panic a bit, or a lot. If you have emailed me, please forgive me for not getting back to you as of yet. I hope that you understand that it has been very difficult for me to do the smallest of tasks. Two of the most asked questions I receive via email is regarding my diet and my supplements. Below I have provided a link to each one (these can also be found in my blog under past postings). I am very sorry to lump everyones questions into this one impersonal post, however I must conserve my energy as there is very little to go around lately. One thing I am very much looking forward to is the little vacation/road trip I have planned with my mom. We are traveling down to the desert and doing a little sight seeing and light hiking and maybe a little rock hounding. I absolutely LOVE road trips. Although, if I had any vacation I wanted, it would be in La Paz, Mexico. Now THAT place is nothing but peace, relaxation, and a loss of all of your worries. I have only been there once but I very much hope to go back there again one day, until then the desert is calling my name. I am also excited about gardening. Somehow even if I have no energy and the sun is shining and I am able to be out in the garden at my dads house sitting there in the dirt digging holes and planting vegetables I am happy and content. Many healthy blessings to you all!